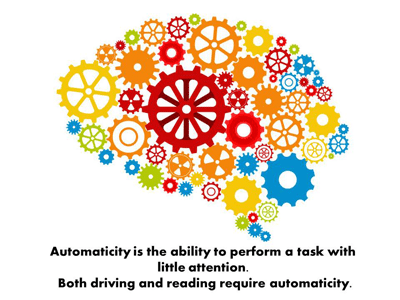 Automaticity is necessary in everything we do to move to higher order thinking skills and perform tasks flawlessly. If we cannot easily perform lower-level reading processes such as phonemic awareness, phonics, and decoding with “automaticity,” we will find it more difficult to free up our mental capacity to concentrate on the task. When our cognitive load becomes too intense to comprehend, there is enhanced likelihood that gaps in our learning process will exist—thus affecting reading achievement and feelings of failure. This session will be of particular benefit to elementary through high school administrators, principals, teachers, and librarians. There will be time to get your questions answered after the presentation. Terrie Noland serves as the vice president of educator initiatives for Learning Ally where she works to develop engagement programs, professional learning services and communities for educators. Terrie has more than 25 years of experience as both a motivational leader and developer of content for educators and administrators. Terrie’s focus for the past six years has been on the pedagogical practices needed to create effective environments for struggling readers and students with dyslexia. Terrie has the opportunity to lead and facilitate groups numbering in the thousands helping to build better understanding of working with struggling readers and students with dyslexia. Her greatest strengths lie in the ability to inform and inspire others to be passionate educators that support the diverse needs of students. Terrie is currently working towards a Ph.D. in literacy, with an emphasis in educational leadership from St. John’s University.